GHID is a world class JCI accredited chain of trusted diagnostic centers within the flagship of Mulk Health care in partnership with Mulk Holdings, under the patronage of HH Sheikh Majeed Saeed Rashid al Naomi, director general of Ajman ruler’s office. 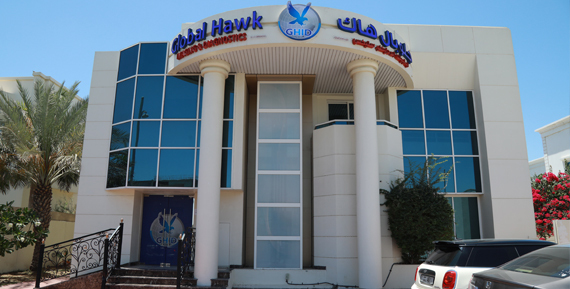 GHID (established in 2011), has evolved around a unique dual concept where in radiology services are facilitated with outsourced expertise through Global hawk telemedicine (established in 2008) the pioneering & only tele radiology service providers of UAE recognized by DHA. Subspecialty consultations are established with a highly skilled global panel of radiologists that include American and U.K. Board certified radiology consultants providing coverage for PET CT, Neuro radiology, MSK, cardiac, breast, oncology, thoracic & coronary CTA imaging. With the monumental success of our primary branch in Deira, Dubai. We have grown rapidly into multiple diagnostic centers with notable acquisition of state of art radiological technology, housing all major imaging modalities, including Open and Closed MRI, CT scan, CBCT, 2D, 3D/4D Ultrasound, Digital mammography, Bone Densitometer as well as top rated clinical laboratory diagnostic devices, collectively under one roof. This has rightfully earned GHID the peer reviewed reputation from our referring physicians as one of the best & top rated diagnostic centers in Dubai. Our popular & convenient one stop imaging & diagnostics solution, provides highest quality patient centered care, combining expert diagnosis with top of the range diagnostic modalities. As a dedicated team of professionals it is our goal to serve as the corner stone of expert diagnostic opinions, through streamlined investigative recommendations and Diagnostic accuracy which in collaboration with our referring multidisciplinary physicians play a vital role in planning of optimal patient treatment and management. At GHID our core work ethic is underpinned by the quest to collaborate expert, world class skill with the excellent patient care that you deserve. We are determined to exceed your expectations by providing the highest level of professional standards in a relaxed ambiance with congenial and caring staff whilst maintaining a trusted and safe scientific approach in conjunction with international standard clinical & best practice guide lines. At GHID you will always be assured of receiving point to point individual care, attention and support throughout your visit. Comprehensive inclusions in all major insurance companies catering to all networks including RN1-RN3, ensures quality care within the economical comfort of all social sectors. Our professional team of liaison officers constantly work on quick approvals to ensure your bookings and appointments are hassle free with a time flexibility suited to your schedule.